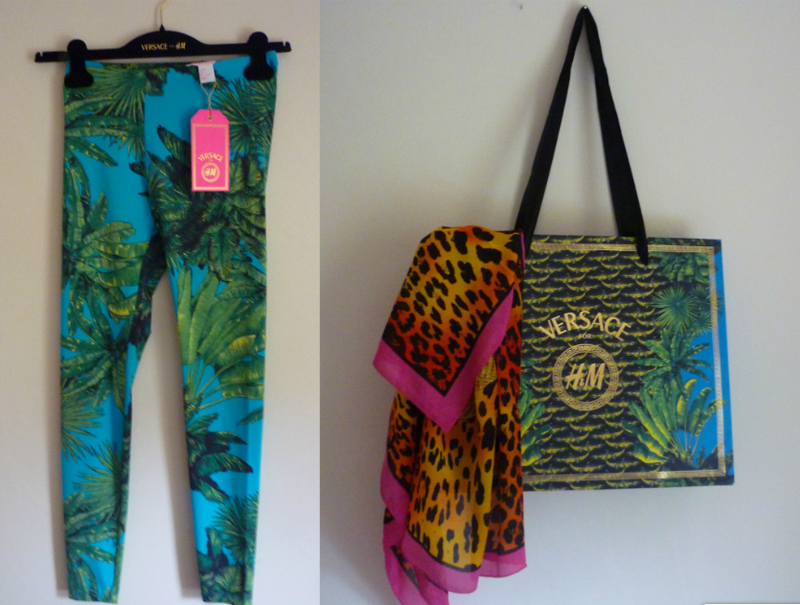 Versace for H&M Haul & Outfit Of The Day! I awoke to my phone alarm blaring at me yesterday at 5am, I was rising at such a horrendous time for the biggest fashion event of the year - in my opinion! Versace for H&M launched yesterday, and as always queuing early for high-street collabs is essential if you want to get the pieces you're after. Myself and a few friends queued at the King St. store in town, and by god was it cold! The complimentary samples of Versace's new perfume 'Yellow Diamond' distracted us from the cold however, as it smells gorrrrgeous. The queuing was worth it 100%, as the collection didn't fail to disappoint. This collab is Versace's "renaissance" as I like to say, it's the rebirth of Versace as it's been hiding in the shadows as a brand, over the last few years. Thanks to people like Lady Gaga, we're now seeing a Versace revival, and I'm loving it! We were let into the store at around 9.30am, I practically ran down the escalators to the Versace section and screamed when I saw it all! We were allowed 10 minutes in the section, and it was absolute chaos. Luckily for me, the two items I was after were there! The staff were extremely helpful, and didn't let it all get too out of hand (people were practically diving for scarves). I bought the palm tree print leggings in a size 8, for €29.95, which I thought was an amazing price for the quality of them. They're so Malibu Barbie and they remind me of Jeremy Scott's S/S '12 collection. They fit me perfectly, and are extremely comfy. I picked up the stunning hot pink and orange scarf also, it's 100% silk and it cost €29.95. I'll get fantastic wear out of both pieces, I feel very fortunate to have been able get both! I wish I had more money with me, as there were a ton of other things I wanted to buy. Two negatives though, was that the store didn't stock the men's collection - at all! All of my guy friends were extremely annoyed for obvious reasons, and when it was announced that the men's collection wasn't going to be on sale in the store, half of the queue left. Xposé the night previous, advertised the men's collection and several magazines advertised it as well, which I find really misleading. Not cool! 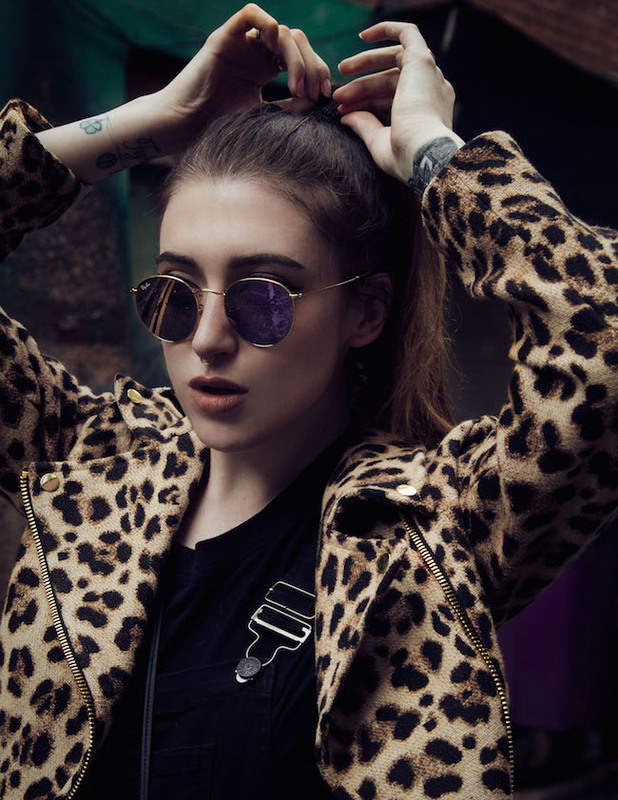 Also, the store only stocked about a third of the whole collection, skipping on some of the main pieces - the studded leather jacket, the leather dress! Not fair. Aisling O'Loughlin was there with the Tv3 crew for Xposé (Irish fashion show), and she interviewed us for yesterday's show. We were featured on it, and my pale pasty no-makeup face practically glowed out of the tv screen.. embarrassing! To watch the Xposé clip, click here! We were also interviewed by The Daily Mail newspaper, which I still need to check out to see if we're in it today! 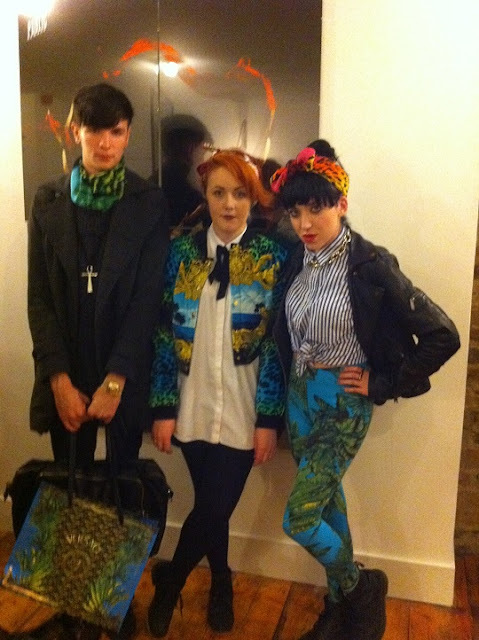 My two friends and I were are also featured on WhatSheWears.ie today, how cool is that?! We met the lovely Anne Marie Boyan who runs the site and she snapped up this fab pic of us above, wearing our new gear! To read the post click here! Did you buy anything from the collection? What was your favourite item?